1) Breaking and trashing items during moving or storage. 2) Using client’s personal belongings as their own. 4) Putting client’s belongings in storage unless additional fees are paid. 5) Increasing moving estimates by hundreds or thousands of dollars. This investigation has been great for consumers, that have been reportedly over charged by about $1.9 million dollars in additional moving expenses, once movers arrive at the new destination. It is unclear if there will be charges for past offenses, but future consumers will have more confidence in choosing a company that isn’t going to take advantage of them. One of the most appalling cases involved a senior couple that was making a move from Colorado to Nevada. They had been originally quotes close to $1,500, but when they got to Nevada, they were given a bill for over $7,000. The gentleman asked to get his wife’s wheelchair, and that was held hostage with all of their other belongings. When they finally received their items, they found that some of their things had been used by one of the movers. Taking advantage of seniors is horrible enough, but not even returning their wheelchair? This case is a bit different than others in that there was such blatant mistreatment, but we urge consumers to be careful when choosing these companies. Not only that, but if you know of someone looking for a reputable mover, you should warn them about these issues. 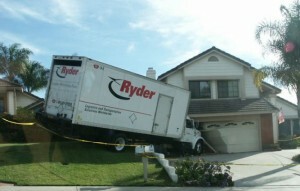 Here are some real reasons a mover may change the estimation once you arrive at your destination. 1) You needed the items faster, or you needed to place the items in storage. 2) You changed the destination at the last minute, or during the move. 3) There were additional fees for the travel, such as tolls, increased gas prices, etc. 4) Your items needed more care in the move than was originally considered. 5) Your items take up more space in the truck than you estimated. 6) Items weighed more, causing there to be trouble at weigh stations. Generally a change in fee will be nominal, somewhere between 0 to a few hundred dollars based on the cost of the whole move. For smaller moves; smaller fees, for larger moves (over $5,000); larger fees. The best way to know if a company is reputable is to get references from them, or recommendations from your friends and family BEFORE you hire someone. The internet is full of information, that anyone can search through. Websites like Google Plus Local, and Angie’s List can help you or your loved one find the right company. We are here to help, but if you are not in our area, we may be able to offer a recommendation. Leave a comment below, or contact us to get our opinion. 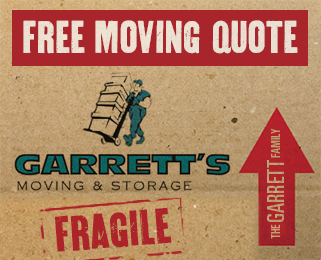 Garrett’s Moving and Storage has 20 years of experience in moving to Dallas and across the country, and we are BBB accredited so you know your belongings will be in good hands. We also have a best-in-the-industry extended coverage policy. Contact us today at 972-487-5843 for a free estimate or click here to request a quote online from the leading moving and storage Dallas company.